UPDATED, 3:09 p.m., with statement from State Board of Education. Stagnant national scores on the Scholastic Aptitude Test represent a “call to action,” according to the group that administers the test. Even so, the national scores far outpace Idaho student scores on the college entrance exam. According to a study released Thursday by the College Board, only 43 percent of students who took the SAT are college-ready. That percentage has remained virtually unchanged for five years. 65 percent. Students who score at least a 1,550 on the SAT have a 65 percent chance of maintaining at least a B-minus average in their first year of college, according to Thursday report. These students also are more likely to stay in college and complete their degree. 1,349: Idaho’s average student score on the April 2012 SAT. This score is an important benchmark, because it largely represents the class of 2013 — the focus of Thursday’s College Board report. About one quarter of these students met the college- and career-ready mark, State Department of Education spokeswoman Melissa McGrath said. 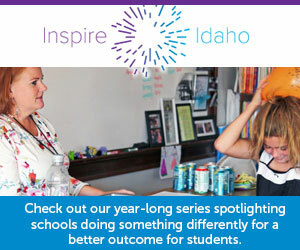 1,350: Idaho’s average SAT score in April 2013, virtually unchanged from 2012. State and national policymakers face a dilemma. They want to encourage more students to take college placement exams, to help set the stage for pursuing a postsecondary degree. But when more students take a test such as the SAT, this increases the student sample size and tends to bring down overall scores. Idaho’s April scores reflect performance on “SAT day,” when high school juniors can take the exam free of charge. Idaho students must take a college entrance exam in order to graduate from high school; they are not required to take the SAT, but only the SAT is offered for free. A record 17,306 Idaho high school juniors took the SAT in April, the second year of the SAT day program. Before the state entered a contract with the College Board to cover SAT costs, only about 3,000 Idaho students took the test annually. The College Board — the nonprofit group that has administered the SAT since 1926 — hailed “SAT day” programs in place in Idaho, Delaware and the District of Columbia. “Enabling students to take the SAT for free during the school day ensures that promising students who might otherwise face barriers to standard Saturday testing — such as part-time jobs or family responsibilities — do not miss out on a chance at the college-going process,” the College Board said in Thursday’s report. In a joint statement Thursday, Superintendent of Public Instruction Tom Luna and State Board of Education President Don Soltman downplayed the state’s test scores, and touted the fact that Idaho has the highest percentage of students taking the SAT. One bright spot from Thursday’s report: a record 46 percent of test-takers were minority students. Hispanic students made up 17 percent of test-takers. Dive deeper into the data: Take a look at Idaho SAT Day scores by school district or by high school. Which schools improved the most on the SAT this spring? Which schools lost ground? And what’s the most average high school in Idaho? Here’s what the statistics have to say. But most Idaho students, and most Idaho schools, fall far below the college-readiness guidelines touted by the nonprofit group that administers the Scholastic Aptitude Test. Idaho has the highest percentage of high school students taking the Scholastic Aptitude Test. Students aren’t required to take the SAT, but the state will cover student fees for the college entrance exam. Jackson Barber took the test early — during his sophomore year at Idaho Falls High School — and scored a perfect 800 on all three sections.